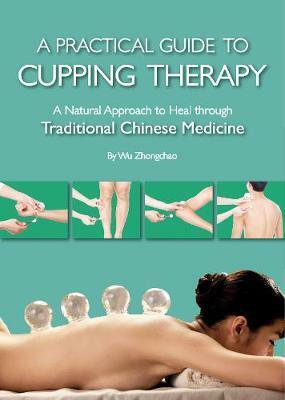 This comprehensive guide to Chinese cupping therapy details this traditional and effective treatment with extensive clinical examples, commenary, and detailed diagrams.Cupping therapy delivers healing effects by improving blood circulation, promoting smoother flow of qi through meridian points and dispelling cold and dampness in the body. It involves local suction on the skin through vacuum created by heating and subsequent cooling of the air in the cup. Because of its easy application and immediate effects, cupping therapy has been practiced in China since time immemorial and remains to this day as a form of traditional medicine for treating illnesses and enhancing health. With solid grounding in both theory and clinical practice, the author introduces the fundamental principles of cupping therapy and areas that require special attention, which are followed by techniques of cupping for targeted ailments. The book covers nine areas: internal medicine, surgery, ENT and ophthalmology, dermatology, andrology, gynecology, and pediatrics (with 73 common illnesses), as well as sub-health condition and health and complexion enhancement, with cupping options for various target skin areas. A Comprehensive Guide to Cupping Therapy contains: A therapy for healing, enhancing health and improving quality of life through the natural way of traditional Chinese medicine Techniques of cupping that can be quickly mastered to help yourself heal, with easy to follow illustrations Tips from a medical professional on having a better diet and life style to prevent illness and gain a healthy complexion.